Dr. Darline Robles, the former superintendent of Los Angeles County Office of Education, is a Professor of Clinical Education here at the USC Rossier School of Education. In addition to teaching in the school’s doctoral and masters programs, Robles is responsible for the development of a new online Master’s degree program in school leadership. She leads the program development effort in conjunction with faculty, external organizations and experts. She is also an expert in the areas of urban education, program development and school leadership. Robles was appointed County Superintendent of Schools in June 2002, and she led the nation’s largest regional education service agency, serving 93 school districts and 55 joint power agencies that educate 1.7 million students from pre-kindergarten through community college, until her retirement in August 2010. She was the first woman and Latina to serve in the post. As superintendent, Robles focused on at-risk and special needs students in schools run by the Office of Education, and directed services to cash-strapped districts, particularly those with low-performing schools. She also led a reorganization of the Office’s highly lauded Head Start preschool program. Dr. Robles and her co-authors, Dr. Ott and Dr. Franco wrote and published “A Culturally Proficient Society Begins in School: Leadership for Equity” in 2011 by Corwin Press. Prior to this position, Robles served as Superintendent of Schools for Salt Lake City School District where she was successful in closing the achievement gap and significantly reducing the dropout rate, and as Superintendent of Schools for Montebello Unified School. In October 2009 and 2011, Robles was named one of the nation’s top 100 influential Hispanic Americans by Hispanic Business magazine and in March 2010 was a “Women of the Year” recipient by the L.A. County Commission for Women. Robles is committed to public service and serves on many local and national boards. She was named to the President’s Advisory Commission on Educational Excellence for Hispanics. 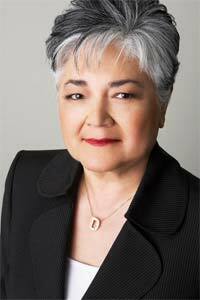 Robles received her Ph.D. in Education Policy and Administration from the University of Southern California, her M.A. in Education from the Claremont Graduate School, her B.A. in History from California State University, Los Angeles and her A.A. in History from East Los Angeles College.